In the 1960s, the then Unionist Prime Minister Captain Terence O’Neill, in an attempt to show respect and to reach out to the Roman Catholic population, made visits to Catholic schools and hospitals. Now, over 50 years later, we have the DUP First Minster Arlene Foster, MLA meeting Gaelic language enthusiasts, the GAA in the shape of the County Fermanagh Gaelic football team and, in the next few weeks, LBGT groups. We are informed that it is to show recognition of and respect for the plurality and diversity of our community. The danger is, that if it is not followed up with meaningful political actions, all of this will be seen as akin to touring a political Theme Park and an attempt to soften the image of the DUP as the electoral headcount between nationalism and unionism grows closer. In addition, the repercussions which threaten to flow from Brexit point to the status quo crumbling more quickly than anticipated. Political unionism has been here before and various leaders across unionism in the post Good Friday Agreement era, including David Trimble, Peter Robinson and Mike Nesbitt, in a sometimes carelessly condescending and patronising manner, have talked of the need to convince mainly Roman Catholic non-traditional unionist voters to embrace the union. Recent posts on social media point to internal discussions within different unionist parties. That we are still hearing this after 20 years and more, points to limited success. Repetition of past misjudgements can be avoided but only where political leadership shows itself willing to tone down the flirtatious rhetoric, take risks, follow radical policies and address those challenges which impede progress and are judged as being aimed at sustaining social, cultural and political supremacy. 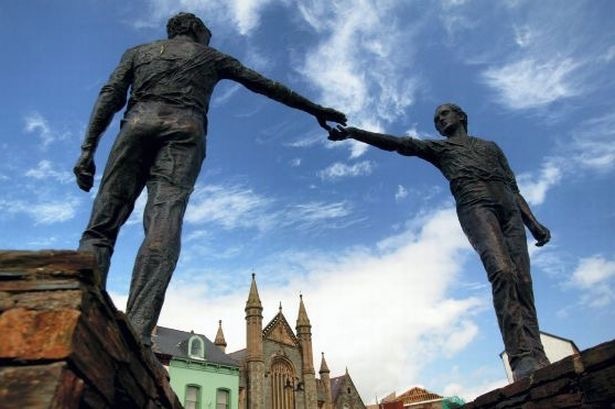 The record of unionism is not encouraging in that it shares considerable responsibility for the crude binary that is still reflected in our schools, housing and communities. As the party of government and leadership after the formation of the state, unionism became too comfortable in its numerical advantage, fostered a sense of self-defining entitlement within its constituency, insulated its conscience within a cloak of insecurity that encouraged incoherent prejudice and an aggressive assertion of the right to be bigoted. It flattened its base to only include devotees blindly loyal to the cause. Individuals and groups of different shades of opinion across the political spectrum were left disconnected and without any meaningful influence. Since you can only challenge what you are prepared to acknowledge, empowered unionism confined its disciples to the narrowest of cultural and intellectual horizons and became the antithesis of what it could have become. Internally, it struggled to differentiate between a legitimate school of thought and disloyalty constrained within a one-dimensional mantra of keeping unionism united. Leaders opted for producing for the most part, broadly paternalistic and patriarchal colour-blind Protestant unionism, the standard bearers for which you would happily bring home to meet the family. Power enshrined in symbols and rituals was allowed to freeze political thinking and moral judgement as dissension was marginalised. Unionism, publicly at least, lost the ability to handle doubt. As a political idea it developed political sluggishness and displayed little awareness of stumbling towards a destination on the edge of chaos. Not alone admittedly, unionism has brought us to the same place today and will not serve the community well through gestures and opportunism alone. Evidence, amply illustrated in the private conversations of unionist representatives who are not prepared to express their thinking publicly for fear of financial penalties or ending their political careers and the unfolding revelations of the RHI Inquiry which point to the arrogant abuse of position and political subterfuge, catalogue some of the challenges. To address these, unionism needs to start further back. There is need for fresh strategic thinking and a renewed sense of purpose expressed and defined differently. No matter how committed genuine individual representatives have been to their constituents, one dimensional unionism has never worked effectively. It has merely survived. Unionism has to express itself not in terms of preserving a particular and out-dated view of British-ness and the Union but as promoting the values of equality, social justice, liberty, tolerance and reconciliation. It has to engage more widely with civic society and address those legislative constraints which act to stagnate politics. Unionist leadership has to take unionism to where it needs to be. Let unionist representatives earn their money. That would be a gesture that all of the community would welcome. June 22, 2018 in News & Current Affairs. Let’s hear an invitation to the pope from political unionism. I think this is a deciding opportunity – forward or stuck forever in reverse.